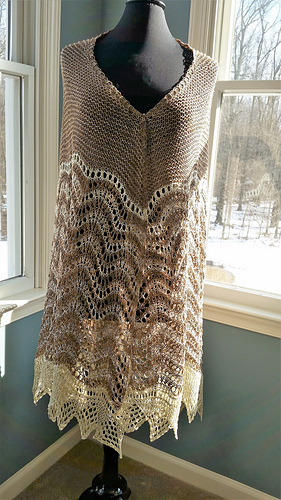 Once again we’ll be ringing in the New Year with a fun filled mystery knit, this time a lovely oversized shawl. 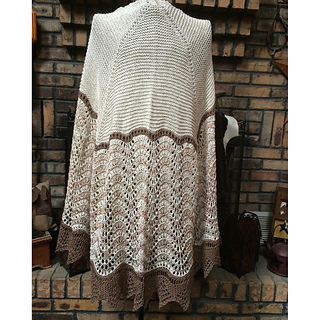 Worked in a sport weight yarn it will be toasty warm, perfect for the long days of winter. 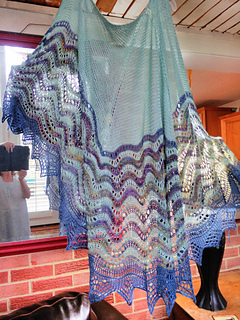 And of course you all want a sneak peak at what exactly we’ll be doing so here’s a little discourse on a Hap Shawl…. 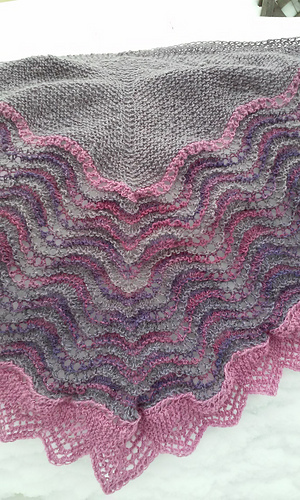 A Hap Shawl is the traditional square shawl of the Shetland Islands. It can be worked from the center out or the edging in. The center is usually a garter square and somewhere along the way a section of Feather and Fan stitch is worked in. The edging is knitted on and is generally of the sawtoothed variety. 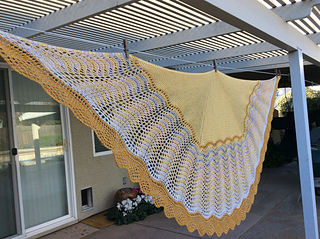 The shawls are large and worn folded in half. All will be revealed on New Year’s Eve and that’s all I’m saying! 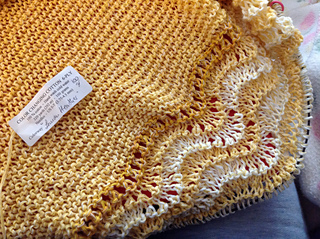 Except… That this is going to be a super relaxing knit, there are simply no fiddly bits in it. So light the fire, put on your favorite show/music/movie, pour a glass (or seven) of your favorite beverage and feel the tension leaving your body as your needles go click, click, click. 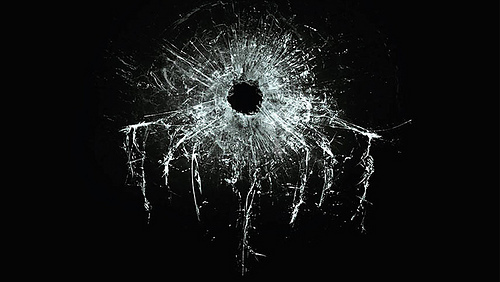 Nemesis will go “live” on the stroke of midnight - but who’s midnight is the question? 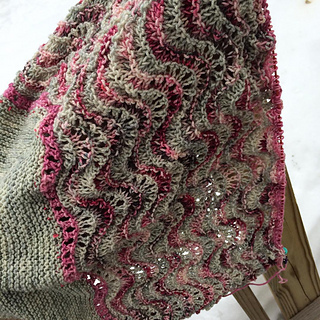 Come join us on the Criminal Knits Group for all the fun and MKAL madness! 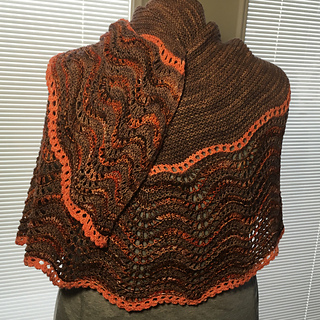 320 yds SPORT weight in a variegated color that goes well with both the solids. 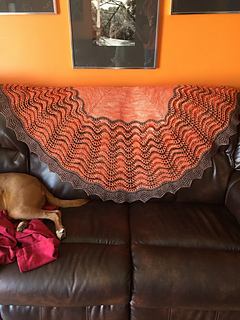 And NO you cannot work this shawl with less! 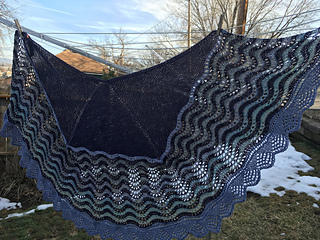 Both Unplanned Peacock and Wolle’s Color Changing Cotton are offering kits for this MKAL.